This hotel was constructed in 2008 and comprises a total of 393 guest rooms. Situated above a trendy new shopping mall selling luxury brands, the establishment lies in the world's third tallest building. Fully air-conditioned, the establishment welcomes its guests into a lobby with 24-hour reception and check-out service and offers its guests full waterfront views. Designed in an innovative and creative style, the city hotel features lift access, al fresco dining at the restaurant, conference facilities, Internet access and room and laundry services. 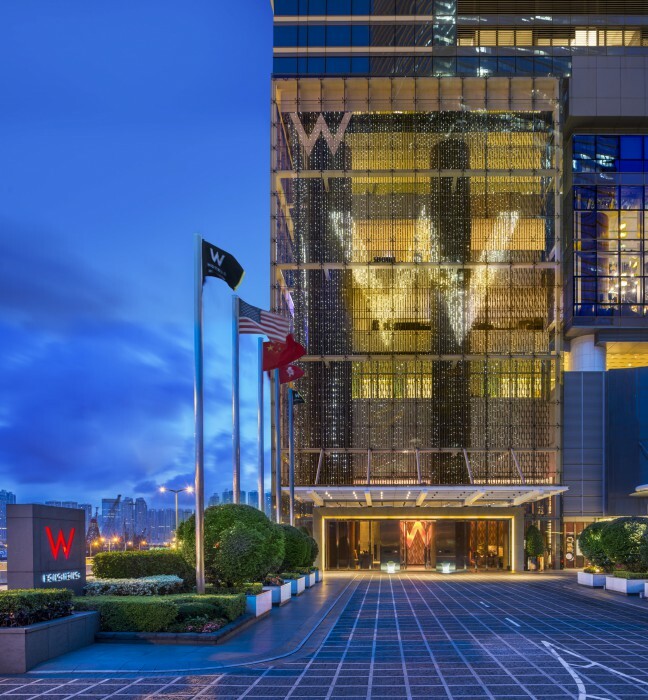 The W HONG KONG is a Tourist, Modern, Business, City hotel, Honeymoon, Design Trendy, Full Service, Child Friendly, Eco Friendly hotel. Located in Kowloon area. Shopping is within walking distance and the nightlife/restaurants are located in the hotel. Descriptionclass="small" style="text-align: justify; font-size:11px;">This hotel was constructed in 2008 and comprises a total of 393 guest rooms. Situated above a trendy new shopping mall selling luxury brands, the establishment lies in the world's third tallest building. 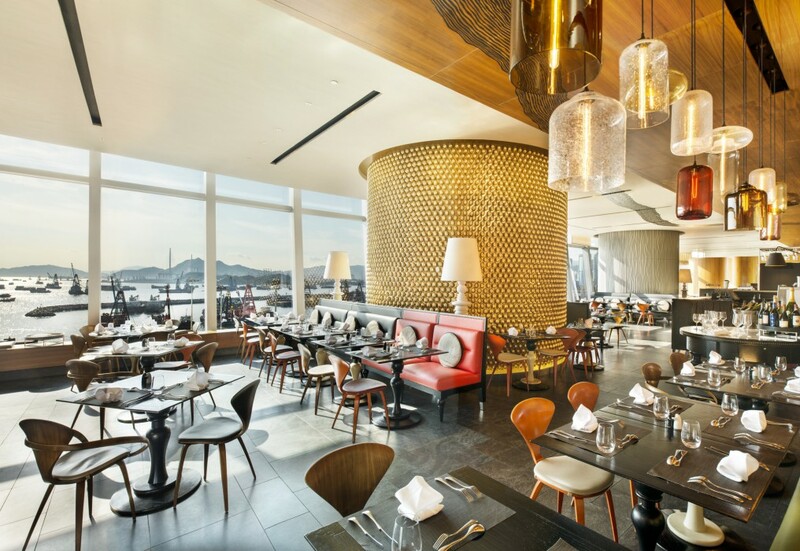 Fully air-conditioned, the establishment welcomes its guests into a lobby with 24-hour reception and check-out service and offers its guests full waterfront views. Designed in an innovative and creative style, the city hotel features lift access, al fresco dining at the restaurant, conference facilities, Internet access and room and laundry services. We just finished a product launch event on W Hotel, with over 200 guests. Itâ€™s not easy to hold a successful event but we did it. The main contact person Kiwi @W Hotel give us a great support and big help! The event uses the 7th floor GreatRoom, thanks to Mavis from Events team & Alex and Kelvin from Banquet, dedicated to assisting the entire event, and our team are able to complete the preparations in a very short time. We are strongly recommended W hotel to be the event partner. Also, this year the [Kitchen] of W Hotel won the [Special Jury Award] from A.A. Taste Awards. It is the proof that they are able to provide the high serving quality both in accommodation, f&b and event planning. Looking forward to seeing you all in nearly future! They WOW you at the W ! My experience with the crew at W starts the minute I made the reservation for a staycation over the Easter weekend. A big shout out to Calista Kim, who makes the stay a surprisingly wonderful time. Stephanie at the check-in counter and Aicky who have been really good to us from the time we step into the W until the day we checked out. The room was spacious and clean! The bed was heavenly too! The location is perfect for the staycation as it has the best of the local and western experience for dining and shopping. The best part of the experience is definitely the W crew and I am definitely coming back sometime this year again. A big thank you to Calista! It was our last stop before going back home. We have chosen to stay in W because we never stayed in any W before. It really surprised me. I thought W is just only focusing on fashion and design. I didn't expect their service were also in a very high standard and personalise. I got a very warm welcome in the front desk by Ms. Tawan and Mr. Hay. They knew that it was our first stay and they upgraded me to the full ocean view room and also two free drinks in the Woobar. We love the room very much, thanks Tawan and Hay! The breakfast buffet was also very great. One of your staff from Taiwan (Sorry I first his name) was really helpful. Good job for the Kitchen restaurant team! We will definitely come back to W Hong Kong! 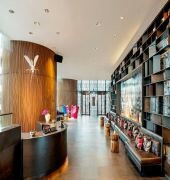 The best W hotel I have stayed. 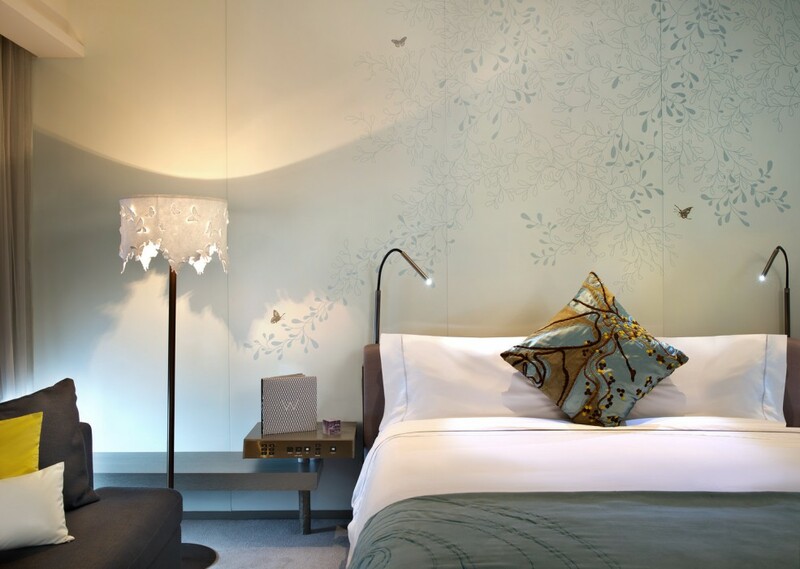 W has always been my favourite hotel brand because of its distinctive and vibrant culture and stylish design. After staying at several W hotels around the world, W Hong Kong has given me the most unforgettable and enjoyable experience so far. I have stayed at W Hong Kong for 2 nights during the Easter holiday and received a warm welcome email one week before my stay from W Loyalty Ambassador, Brian who kindly asked my estimated arrival time and provided transportation service information. As a Marriott titanium member, my room was upgraded to a corner room with partial harbour view despite the almost full occupancy rate during the holiday period. I reached the hotel around 5PM, and the extremely friendly and professional staff Aicky escorted us to the reception and initiated a lovely conversation to understand our itinerary in Hong Kong and recommended some interesting hiking places to us. The receptionist Kelvin also offered great service, although our room was not ready yet, he kindly offered us complimentary drinks at Woobar while we were waiting. The corner room I stayed is very spacious and clean, it is really a luxury to have such a big room in Kow Loon area, which has one of the highest property prices globally. The room also has big ceiling-to-floor window and stylish design, the automatic curtain and the modern shower facilities are also the highlights despite the hotel has been opened for more than 10 years. The external HDMI cable and great sound system allowed me to stream youtube video from my iPad effortlessly. Although the harbor view is partially blocked by the ICC building, you are still able to see the skyline of the Central and the amazing night view of the harbor. 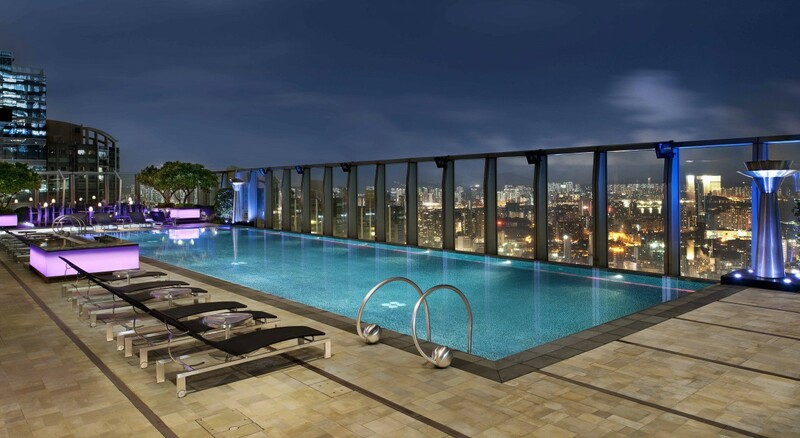 The swimming pool at level 76 is the highest outdoor pool in Hong Kong which also has a great view of the metropolitan. The hotel buffet breakfast at the Kitchen Table is a must-try as well. I think I am a quite frequent traveller, the breakfast at W Hong Kong still has one of the best varieties among all the hotels I have stayed which includes both western and Chinese styles. The fresh cucumber juice and lobster egg benedict were my favourite. Besides the hardware, what impressed me the most was still the service provided by the hotel staff, especially the W experience manager Sammy who sent me personalised email to ask about my experience so far and anything else she can offer to make my stay more enjoyable. She successfully assisted me to reserve the OZONE Bar at Ritz Carlton hotel despite my short notice which helped me escape the long queue. Sammy also said goodbye to me in person when I checked out at the reception, we had a lovely conversation about my stay and overall experience in Hong Kong. Last but not least, I expressed my interest to purchase the W Hong Kong special edition Octopus card when I checked in, but unfortunately it only comes with the â€˜Like a Local with W Perksâ€™ package booking and not for separate sale, but when I came back to my room at night, the hotel put the W special Octopus card on my table which really surprised me and showed they would really try their best to make the guest experience unforgettable. I will definitely come back to W Hong Kong when I visit Hong Kong next time!